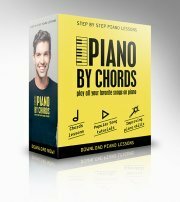 This is one of the easiest tutorials you'll find in our website since it has four chords or so along with a very simple pop groove you're going to use in many different piano songs. First play the chords in blocks without the groove and once you can move smoothly between the chords add the pop groove. 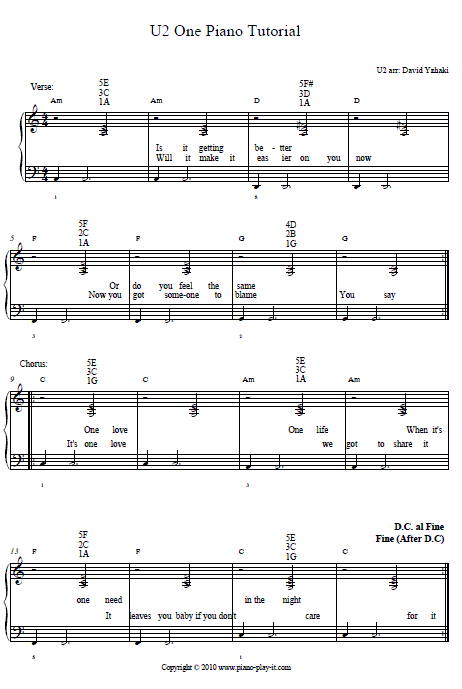 Finally, here's a free piano tab of the U2 One Piano Tutorial.